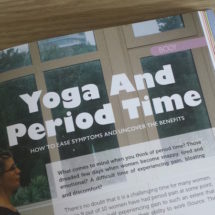 Sue arrived into the PR with Heart Online in 2017 with a powerful piece of research, set of tools and yoga sequences to heal period pain and PMS. She was ready to share it with many more women and having a tendency towards over working and burn out she wanted to do this naturally and effortlessly. After the 5 week PR with Heart Course these questions were clearly answered. Absolutely Yes. 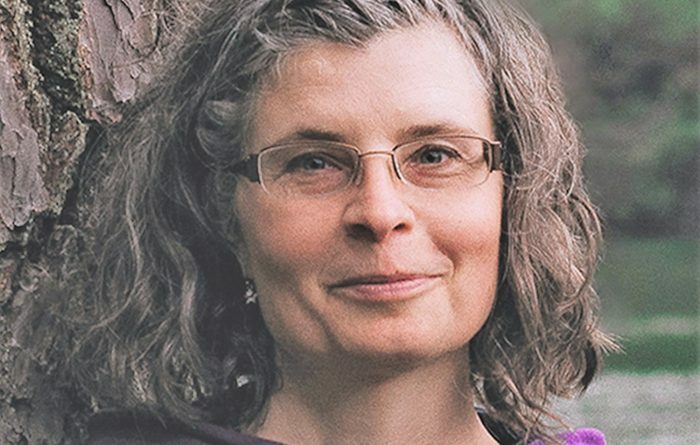 She created a clear, simple PR with Heart plan and pathway in alignment with her true nature and purpose. Sue’s transformation since has been a joy to witness. Her courage to consistently show up is inspiring and has created confidence and embodiment of her purpose. …She took her self off for a professional photoshoot to illustrate the yoga sequences. …She showed up regularly for workshops that she now receives invitations to hold. …She invested in a Facebook Course and began a Facebook Page. 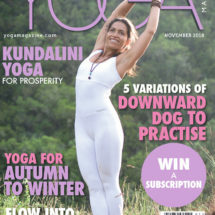 …She secured 3 media pieces in Yoga Magazine – a book review and 2 three page features. 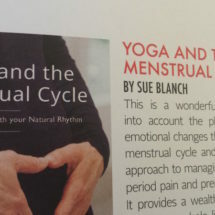 By listening to her heart and consistently showing up Sue has built a substantial, solid foundation for her work that is now reaching hundreds more women to receive the benefits of Yoga and the Menstrual Cycle. She is visible, vocal, appreciating her creativity and fulfilling her true purpose. Register for the next PR with Heart Online starting in January here.